Forté Health is working towards achieving the gold standard in the Enviro-Mark programme in 2019 and is on its way to becoming the first hospital to become a carbon zero organisation. Working to be an Enviro-Mark Gold certified organisation, Forté has developed a comprehensive plan to achieve their environmental goals and is measuring their impacts to allow for continual improvement. Forté Health General Manager Rachel Hillyer says the private hospital is committed to doing its part to protecting the environment and leading the way for all healthcare industries. Forté’s waste and recycling efforts have been recognised by the Ministry of Health and the hospital has received a Baxter/NZ Surgical Private Hospitals Association Awards for its waste reduction initiatives. “Being sustainable is important to Forté – it’s one of our values – and there are many simple yet effective ways we’ve made that value visible right across the hospital,” says Rachel. Forté has introduced compostable injection trays, compostable paper cups and paper pill pottles and is taking used batteries to offsite collection points for recycling, rather than being placed into landfill. 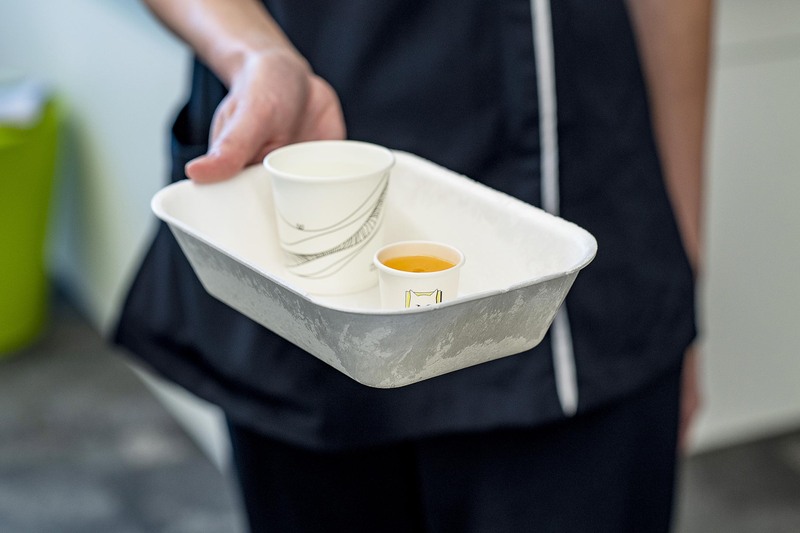 Single-use patient socks are cleaned and donated to schools and charities, and reusable sharps containers are removed, cleaned and returned in place of disposable containers that were heat-treated and landfilled. A key initiative that has made a huge difference to Forté’s environmental footprint is the 60% reduction in medical waste from theatres.